I lived at 104 High Street ( The house on the left hand side just past the one with the street lamp attached to it) from 1962 to 1968. There were 3 houses in the terrace and then a brick wall dividing the next row of houses that went down to drive that led to the farm at the back of the houses. The farm at the side of the jitty (From High Street to the White City) was owned by the Holmes family where we used to get eggs and the annual christmas chicken. 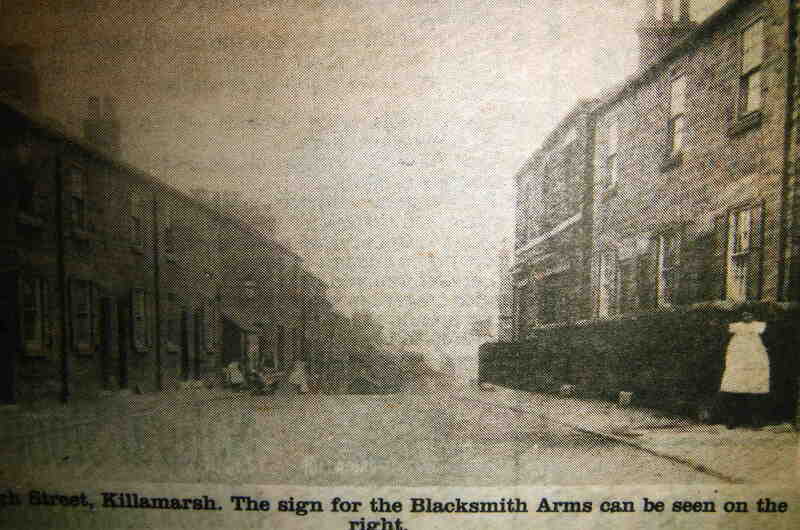 When I was a small child I used to live at 111, High street, in one of 2 semis that stood back between the old Blacksmith’s pub and the row of houses on the right hand side of this picture! Next door (109) lived Clifford and Ruth Pegg – they used to keep pigs at the top of the garden and chickens to the side! In the row of houses I remember 2 sisters called Marrison, Maud, who did dressmaking and I think her sister was Mary. Incidently buses used to have to pull over to the other side of the road to go around the pub sign because it hung into the road! Has anyone any pics of the old pub or the two houses?